Dancing group in bright red and orange. Brasil Cuba-SF (? 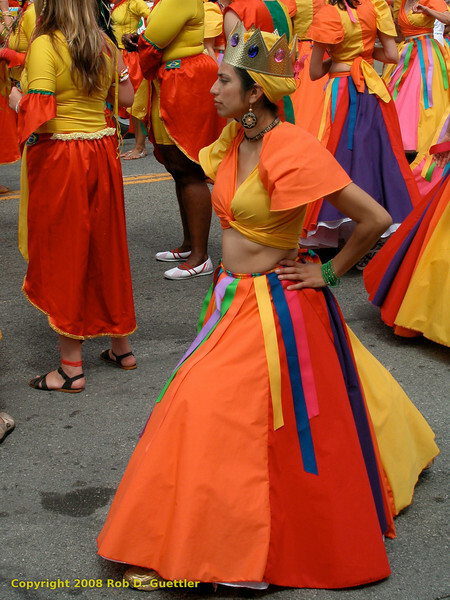 ), Carnaval Parade 2008 staging. Bryant St. near 24th St., Mission District, San Francisco, California.